Cream sugar, butter and vanilla together. Add in flour and with fork and/or fingers knead until smooth. Shape dough into an 8-inch log. On cookie sheet cut dough into rounds ½ inch thick. Spread rounds out on cookie sheet. Bake 10-12 minutes, or until edges are very lightly browned. Immediately after removing shortbread from oven place turtles onto hot rounds. Place pan on wire rack to cool. Optional: drizzle melted white chocolate over cookies. Pour coconut into a mixing bowl. Add the condensed milk to make a stiff dough. (Note: condensed milk becomes denser as it ages, so you may need less than the whole can for this step.) Add vanilla and almond extracts. Drop by rounded spoonfuls onto prepared cookie sheets. Bake 12-15 minutes, or until lightly golden. Cool in pan on wire rack. 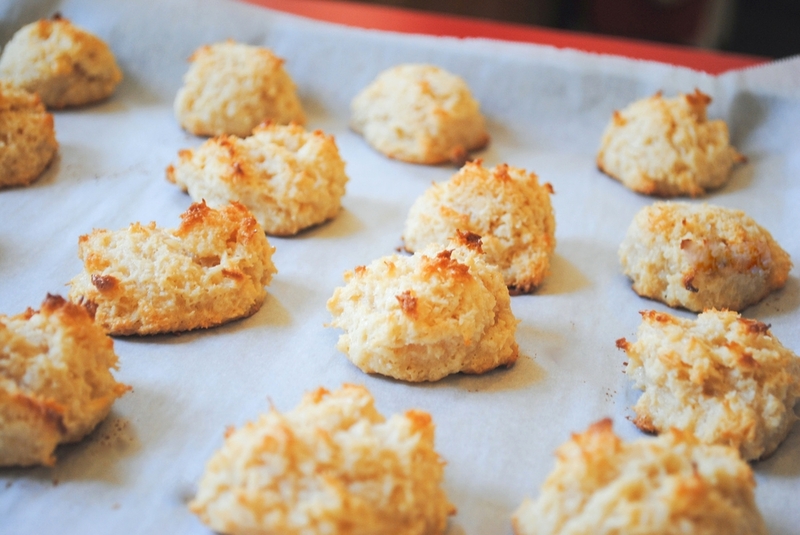 Carefully peel cookies off parchment paper (they tend to be a little sticky!). Stir coconut oil and melted chocolate together until smooth. Add coconut sugar, egg replacer powder, baking soda, salt, vanilla and almond extracts and stir to blend well. Stir in water. Stir in flour, then chocolate chips. Use hands or two spoons to shape dough gently into mounds of about a tablespoonful of dough, and space 2 inches apart on a parchment lined baking sheet. Bake for 10-12 minutes until set. Let cool slightly on baking sheet, then transfer to wire racks to cool completely. Enjoy! Related Recipes: Dirty Vegan Chocolate Chip Cookies, Sunflower Butter Cookies. Combine all ingredients except water, flour, and chips, and stir together until well blended. Add water and blend until absorbed. Stir in flour, then chocolate and peanut butter chips. Drop spoonfuls onto the baking sheet, about 2 inches apart. Bake for 10 to 12 minutes, until very lightly browned. Cool for a few minutes on baking sheet, then remove to a wire rack (if available) to cool completely.